The world’s most valuable digital currency, Bitcoin, has had a rough last 12 months. Not only it collapsed all the way from $19,000 (that was its worth in early January 2018) to less than $4,000 in November, a span of 10 months, but it still has not been able to recover from its drought and is trading in the $3,400-$3,500 range at the time of this writing. The bear market has been darkening Bitcoin’s landscape for weeks now. However, some experts and pundits have identified a growing opportunity throughout the year, and state that there is light at the end of the tunnel despite BTC’s evident inability to even break the $4,000 barrier in recent days. The latest community to show its long-term support for Bitcoin and its value is Finder.co.au, most specifically, the financial experts that provided a market forecast in the company’s most recent study. 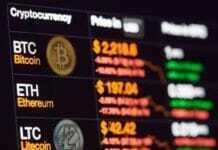 The specialists believe that BTC’s price will be in the $7,500-$9,000 range by the end of the current year. Since Bitcoin’s price is still hovering around $3,400-$3,500, a jump from $3,500 to $9,000 would be a massive one in just 11 months, most precisely; it would be equivalent to a 157% upswing in cost, which would be impressive since the cryptocurrency shed more than 80% of its value in a similar timeframe, from January 2018 to today. 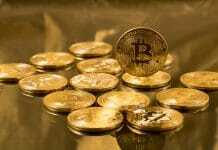 Whilst some people and investors have been selling off their BTC assets for a few weeks now, executives at investment companies and fintech specialists maintain a positive attitude towards cryptocurrencies and, most specifically, Bitcoin, in the long term. They think that there are short term catalysts that can re-activate the bull market. Several companies and platforms are becoming more involved by offering crypto-related services. For instance, ICE’s Bakkt will launch a Bitcoin futures market in America, and Fidelity will offer cryptocurrency custody. Banks and financial institutions’ activities in the bearish version of the market will go a long way into enhancing investors’ confidence that have recently doubted about the future of digital assets. Ritchie’s prediction was in the higher end of the $7,500-$9,000 range, whereas other fintech specialists preferred to keep a more conservative approach, and yet they forecasted Bitcoin ending the year at $7,500. A very important development is the one reported by Finder.com.au and HiveEx.com. The companies’ co-founder, Fred Schebesta, stated that the adoption of cryptocurrencies by millennials is steadily climbing, at least in Australia.